This exclusive country lodge has a history dating back to 1692, the time when the original European settlers and wine growers arrived in Cape Town. The 96 acre estate is host to exotic fruit trees and endless vines of noble white grape varieties, such as Chardonnay, Chenin blanc, and Sauvignon blanc. With the majestic backdrop and stunning location Palmiet Valley has the reputation for being the perfect setting for a wedding. 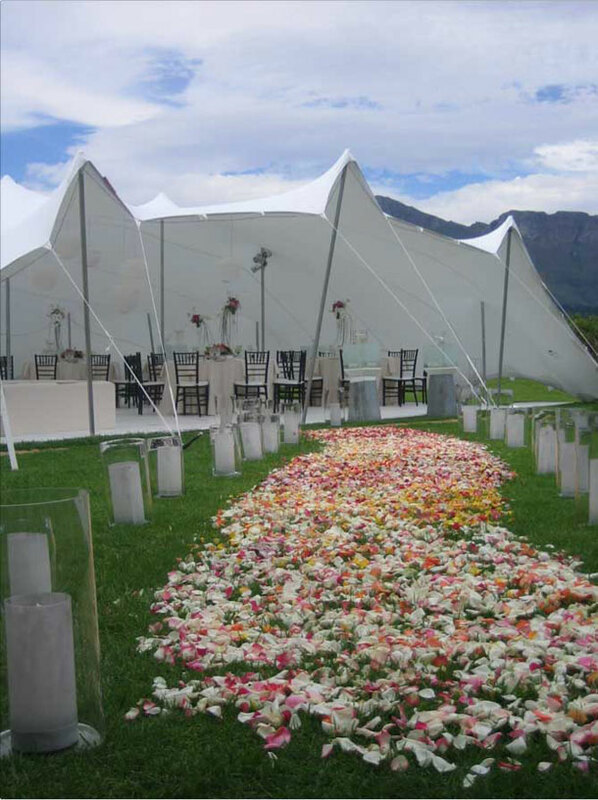 Our garden gazebo is ideal for a romantic outdoor wedding. Enjoy canapés and sun downers on our deck with breathtaking photo opportunities. We cater for guests anywhere from 2-100 either in our cosy dining room, under our terrace or in our wine cellar venue. The romantic honeymoon suite is the perfect finish to a perfect day. Our wedding co-coordinator will tailor-make your day to realize your dream wedding. We can organise any special occasion or celebration, with catering for between two to 100 people, leaving the guest free to enjoy the festivities. There are thirteen rooms available for your guests accommodation in Paarl and the bridal couple can enjoy their first night together in the Presidential Suite. 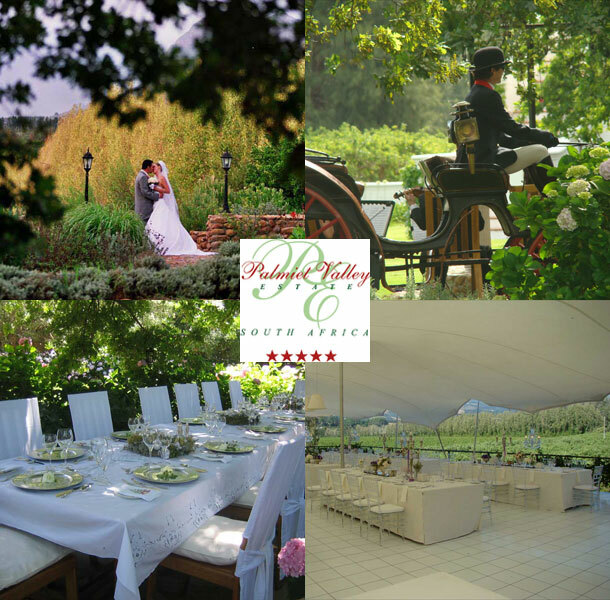 To book your wedding at this lovely venue please telephone Fred and his team on +27 (0)21 862-7741. Alternatively to send an enquiry or for further details visit Palmiet Valley Estate.